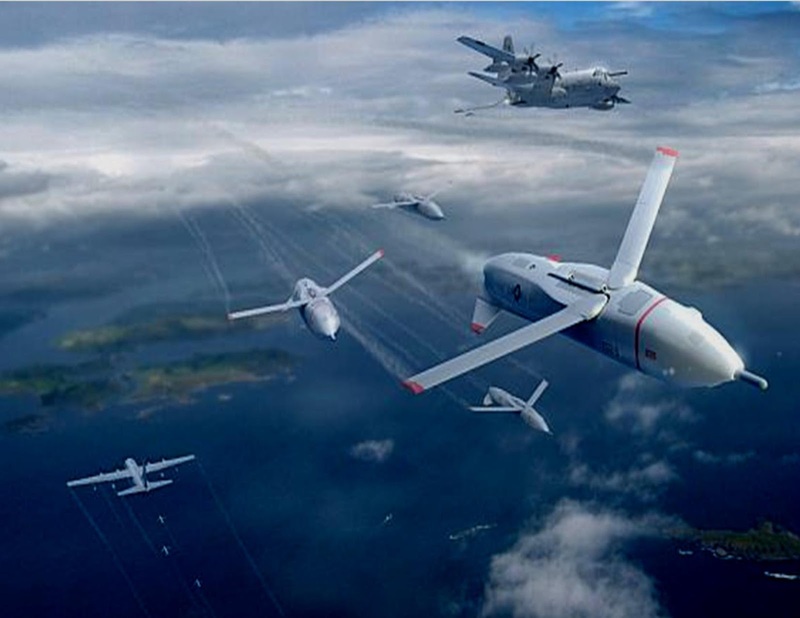 General Atomics, which builds the iconic Predator, has rolled out its offering for DARPA’s Gremlins program, blandly called the Small Unmanned Air Vehicle (SUAS). The goal: Build drones — and equally critical, a launch and recovery system — that can take off from a manned aircraft, conduct a mission and come back aboard the plane. 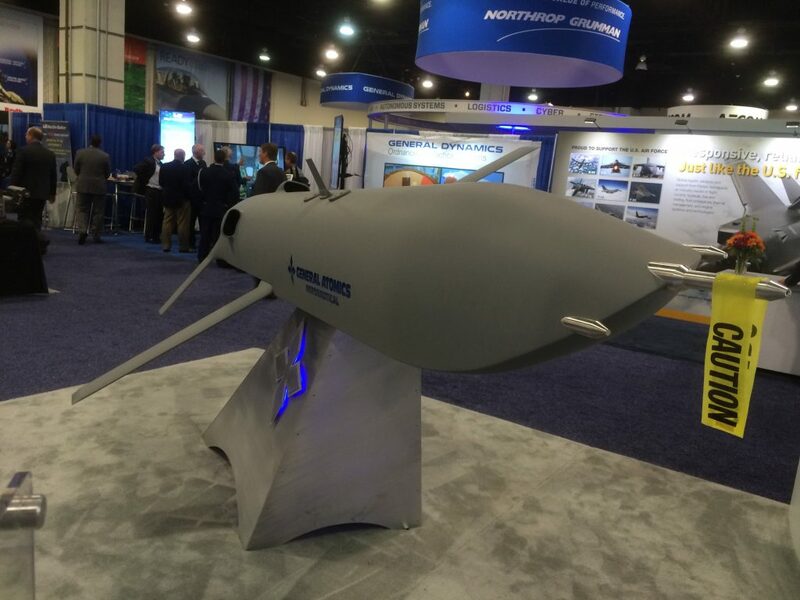 Getting the drone back is “the DARPA-hard part,” said Chris Pehrson, General Atomics VP for Strategic Development in an interview at the Air Force Association conference here last week. General Atomics also has a more “elegant” solution, a mechanism mounted under the C-130’s wing that reels out a cable on which the drone can catch, then reels it back in. It’s similar to the hose-and-drogue system used by the US Navy and many allies to refuel in mid-air. But the reel-in-reel-out mechanism doesn’t meet the Gremlins requirement, Pehrson acknowledged, because you can’t fit very many drones under an aircraft’s wings. Gremlins wants to pack the cargo bay with drones, 16 of them, to make the mothership a kind of airborne aircraft carrier. The only way to get drones in and out of the cargo bay is with a mechanical arm. Each drone must be between 500 and 1,000 pounds, with room for 60 pounds of payload and enough fuel to fly out 300 miles, loiter over a target for an hour, and fly back 300 miles to the mothership for recovery. The C-130 is particularly tricky, Perhson said. It’s got lots of room, but it’s also a “dirty” aircraft that creates a lot of turbulence. The goal with either the mechanical arm or the reel-in-reel-out system is to get the drone safely outside the worst turbulence before launching it, and then, on recovery, to catch it when it’s still far enough away that, again, it’s not being battered by turbulence. The General Atomics system uses precision sensors to determine the relative position of the drone and the catching mechanism, with software using negative feedback to steer the drone more and more precisely onto target so it can be caught and recovered.